What am I still having for breakfast every morning? Breakfast Bakes. I'm still obsessed - and I don't think my obsession is going to end anytime soon. Not until I bake ALL THE BREAKFAST BAKES. So naturally, I keep on trying new flavours and combinations - because you never know what you'll discover! With 3 bunches of overripe bananas, I knew I needed to get to work - so I threw things together and made what I hoped would be a great breakfast bake recipe - and it was! 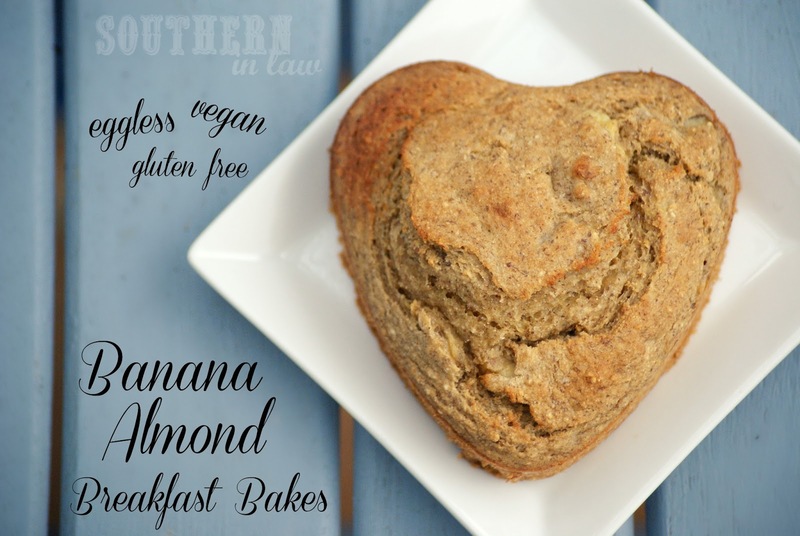 These Banana Almond Breakfast Bakes have no added sugar, are vegan and clean eating friendly - and are also gluten free and eggless! Grease and/or line single serve ramekins, baking tins or mini springform tins. 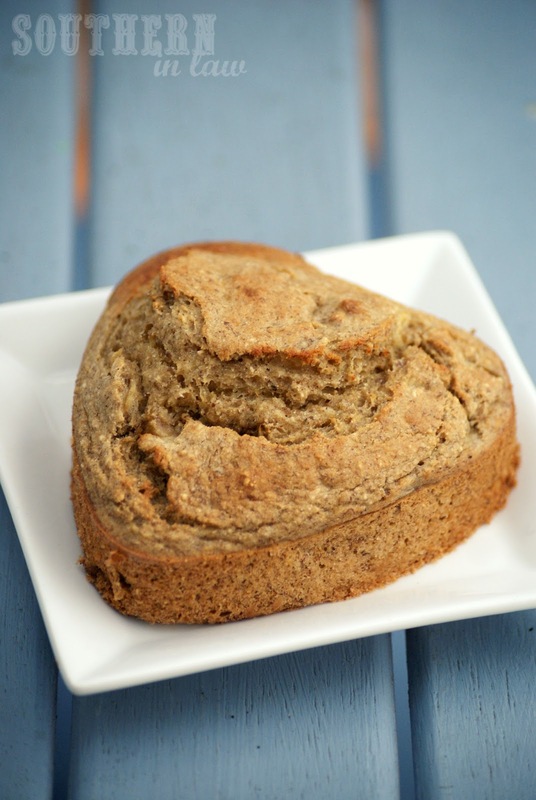 In a bowl, combine buckwheat flour, oat flour, almond meal, and baking powder. In a separate bowl, mash your bananas and mix in Almond Milk, Vanilla and Cinnamon. Combine your wet and dry ingredients and mix until just combined. Divide your mix amongst your ramekins/baking dishes and bake for 20-30 minutes or until cooked through and a skewer inserted removes clean (cooking times will vary depending on your oven/altitude). If you prefer, you can easily make these into muffins - they'd make between 8-12 muffins, depending on the size - just bake them for about 10-15 minutes. But tell me, what is your food obsession at the moment? These look delicious and healthy! 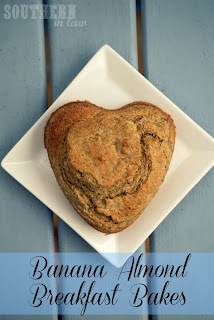 I have a serious over-ripe banana problem these days, so I will have to put this on the list! They are delicious, Lindsey! You'll have to let me know what you think if you try them! Yummy your breakfast bakes all look so delicious, its understandable why you are obsessed! And where did you get the adorable heart shape mould from? Adorable! They're SO delicious - truth be known I'm eating one right now, haha. The heart shape moulds are mini springform tins - you can find them at Big W, Target, Woolworths, Myer, David Jones and online at places like Kitchenware direct. They are amazing - and all you have to do is put some baking paper in the bottom and they won't stick!